I love vintage and I love makeup, and sometimes I’m lucky enough to get to combine my two great loves- which I was lucky enough to do when my multi-talented friend Syrie Moskowitz asked me to design her makeup for her leading role of Olive Thomas, in Ziegfeld’s Midnight Frolic which is on Broadway now. (You might have seen Syrie in the recent Kate Spade campaign which has been in every major magazine for the past few months.) Syrie plays Olive Thomas, who was a Ziegfeld girl then hollywood starlet in the 1920’s, who died under mysterious circumstances at a very young age due to poisoning. 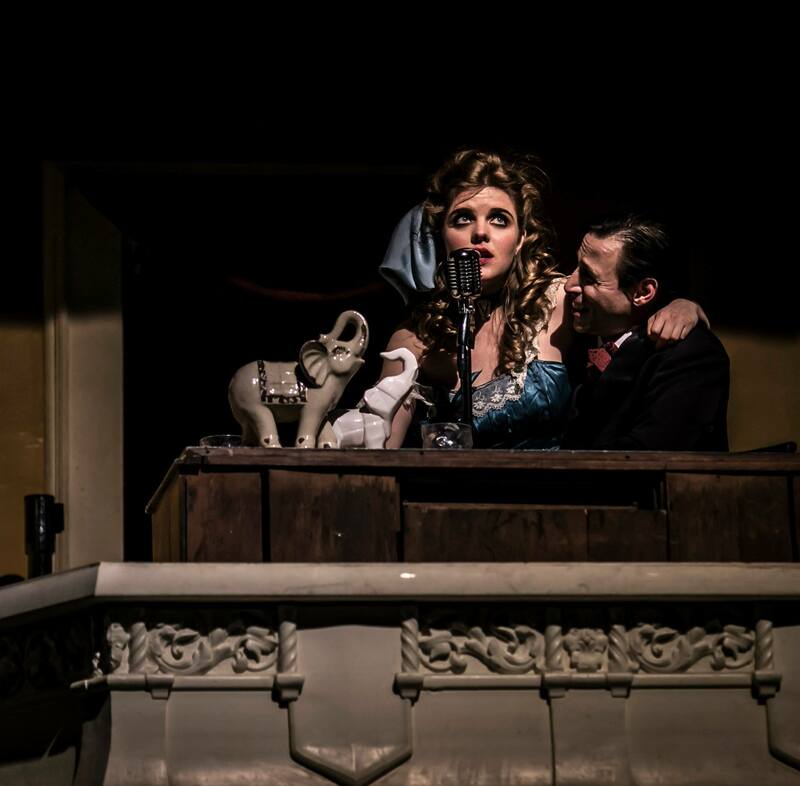 The show covers her rise to fame and eventual demise in an interactive performance at the Liberty Theatre. 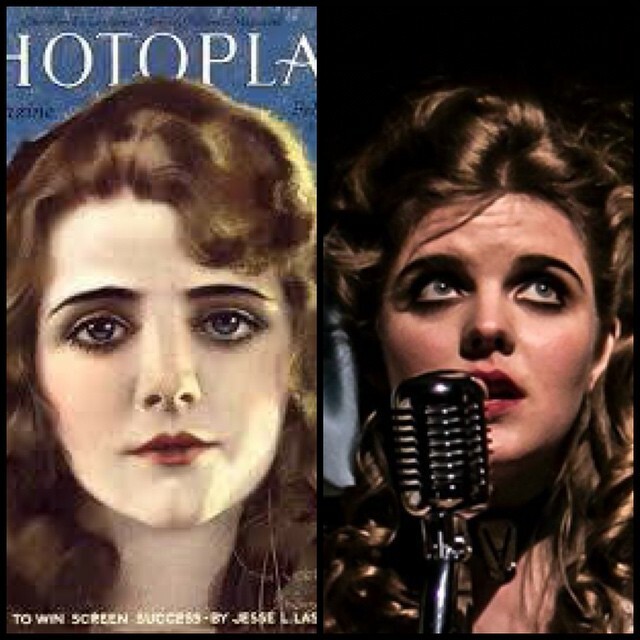 Syrie asked me to create her makeup look and sent me about a dozen pictures of Olive Thomas for inspiration, and we decided to use the above picture as the basis for the makeup. Syrie already bears a striking resemblance to Olive Thomas, which made my job a lot easier. (In fact, she looks so much like Olive that the writer/director of the show wrote the role of Olive with Syrie in mind!) Going by the picture, I gave Syrie a smoky eye, especially smoking out on the bottom, but brightened the lower waterline with a flesh-colored pencil to leave the eye big and bright. I also straightened out Syrie’s brows a bit, since Olive’s are quite straight across in the picture. This was before the over-plucked and drawn-on brows came into fashion and brows were a bit more natural. Last but not least, I gave her upper lip a distinct cupid’s bow, to mimic the shape of Olive’s lips. Syrie’s lips are quite a bit fuller so I didn’t reduce their size too much since it would have looked a bit odd. I used Stila’s Stay-All-Day Liquid Lipstick in Fiery, because Syrie’s lips have to last few a very long performance with quite a lot of kissing her co-star! If you’d like to see the Ziegfeld’s Midnight Frolic its still on Broadway and I highly recommend it! It’s running until June 6th only, so get your tickets at OvationTix as soon as you can! So, my vintage loves, what kind of makeup would you like to know more about? I’m planning on doing some video tutorials and would love to know what you would like to see!